Silverlight Toolkit is released to CodePlex today. Just hours after its release, there have been thousands of downloads and dozens of blogs. 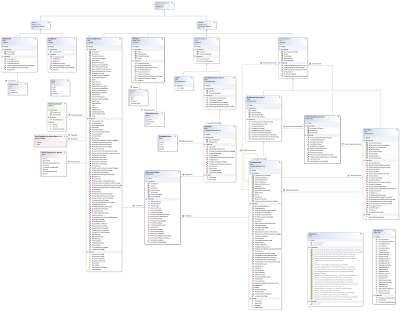 Shawn Burke's Blog entry Silverlight Toolkit Now Available For Download is a must read for anyone who wants to get a good overview of the toolkit and the open source engineering model Shawn has been championing at Microsoft. Silverlight Toolkit is written by developers and for developers, and is released in source code under Microsoft Public License. To help developers navigate our source code and better learn and use the toolkit, I will write a series of blogs explaining the design and implementation of Silverlight Toolkit. 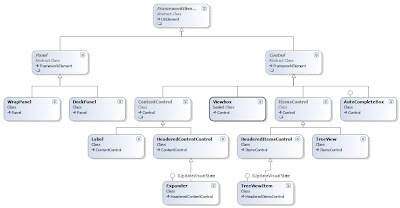 Today I will start with class diagrams for Controls and Controls.DataVisualization projects to give you an quick overview of the major classes and their relationship. The resolution of the diagrams isn't great. 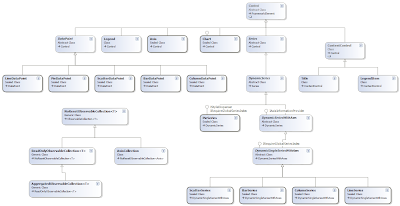 It is probably better to add the following class diagram files to your Controls and Controls.DataVisualization projects directly, so you can view the diagrams more clearly from inside Visual Studio, and modify them for your own needs: Hopefully those class diagrams will give you a good overview and help you navigate through our source code. Please let me know more explanation of the classes and their association would help.